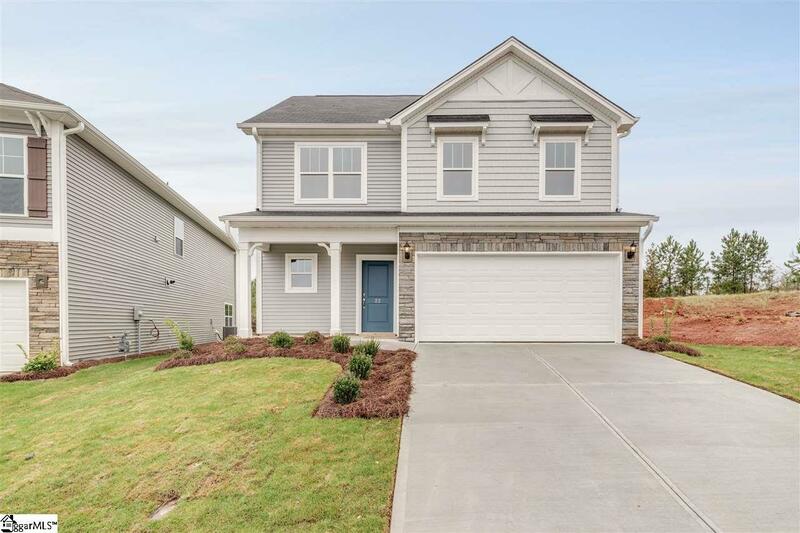 This beautiful 5br/3.5 bath two story home is nestled in the heart of Boiling springs and is conveniently located near Spartanburg Park, shopping, hospitals, I-26, Bus 85 and I-85. Perfect home for anyone needing an additional master bedroom or guest suite that is upstairs with separate bathroom. This home is "Hausmart"! Healthier, affordable, designed with YOU in mind =SMART! Many energy efficient features: electric hot water heater, radiant roof sheathing, air barrier and sealing, R-38 attic insulation, advanced framing, low VOC carpet and paint, CFL bulbs, 5/2 programmable thermostat, third party HERS testing & Rating, showing you the energy efficiency rating and monthly savings of your new home. Listing provided courtesy of Cory Vaughn of New Home Star Sc, Llc.